Entering a new year is a good time to reflect, and its convergence with the winter boat show season in Europe adds further intelligence to an analysis of new build sales in the yachting market. If the amount of new models and ‘world premiers’ on show at the massive January held Dusseldorf Boat Show is anything to judge by, you could form the conclusion that the purchase of new yachts is about to take a much needed upturn. Certainly the leading European boat builders are fairly unanimous in believing that to be the case. For instance long established UK motor boat builder Princess Yachts launched no less than six new models in 2013, and according to their Sales Director Colin Capewell, they returned from every boat show they attended with worthwhile orders. 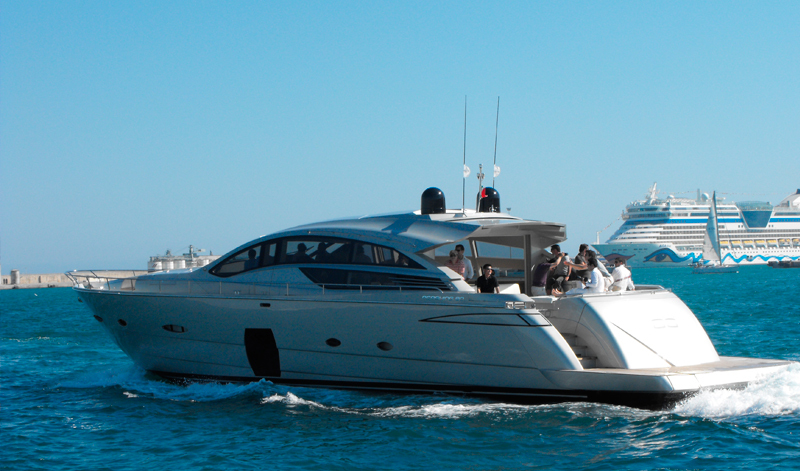 In the USA, often an indicator of things to come, it has been reported that consumer confidence returned last summer, resulting in an 18.9% increase in the purchase of new powerboats. That said, it was noted that there was a trend towards buying smaller and less expensive models, with boats under 30ft (9 metres) showing much stronger sales than for larger vessels. Industry analysts cite a definite shift in consumer spending patterns, and even a psychological reluctance to flaunt wealth, due to the length and depth of the global recession and its overall effect on living standards. Another study identified that the prices of what used to be, ‘boats for the working classes’, have risen way above the rate of inflation, thus taking a large section of potential new boat buyers out of the equation. As an example, a typical 8 metre family cruiser that sold for $58,000 in 1984, should cost around $124,000 today, taking inflation into account. But in fact, its more likely to cost close to $200,000 which has pushed its affordability into a higher disposable income bracket, thus leaving the void at the lower end of the relative affluence scale. The European Boating Industry conference on ‘End-of-Life’ boats held at Dusseldorf recently, identified that in Europe alone, 6 million boats will need dismantling and recycling during the next two decades. Will 6 million brand new boats be purchased to replace them? We think not…. The future is more likely to see a more varied mixture of new build sales combined with boat share schemes, yacht charters and a mopping up of the huge pool of brokerage boats that remain after 6 years of recession. With prices on ‘pre-loved’ vessels languishing at an average 40% below pre crash levels, boat buyers will continue to be tempted towards buying 2nd hand, and spending some of their savings on refits and improvements, in order to personalise their ‘new’ toys!